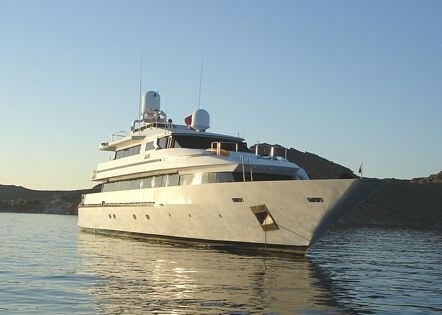 Luxury motor yacht AMZ is a 41,76m (137’) yacht built by Marinteknik Verkstads, in Sweden. 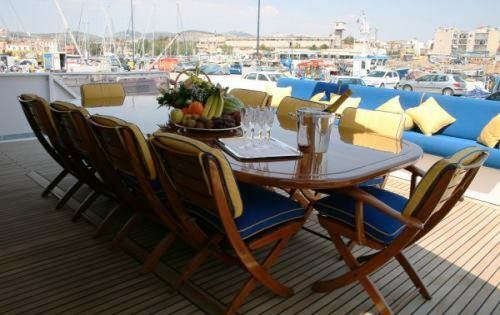 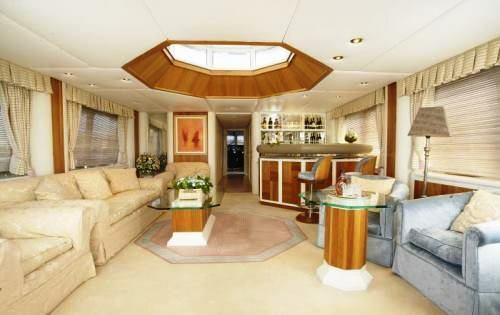 She is a classic yacht with a beautiful design offering the best of modern yachting. 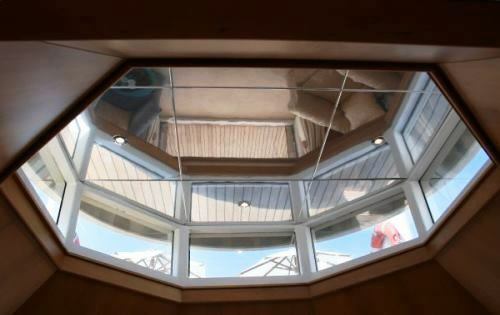 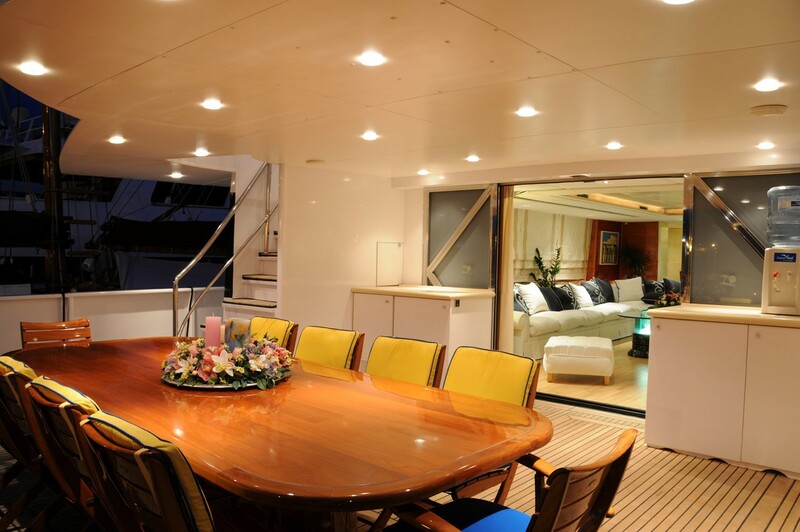 Her interior and exterior deck space has been well planned combining space and elegance with modern sophistication. 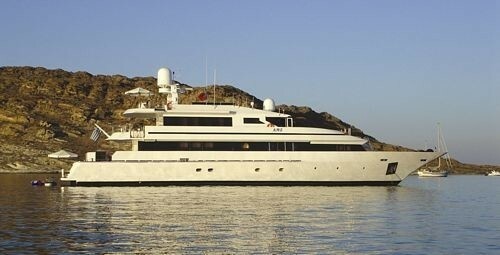 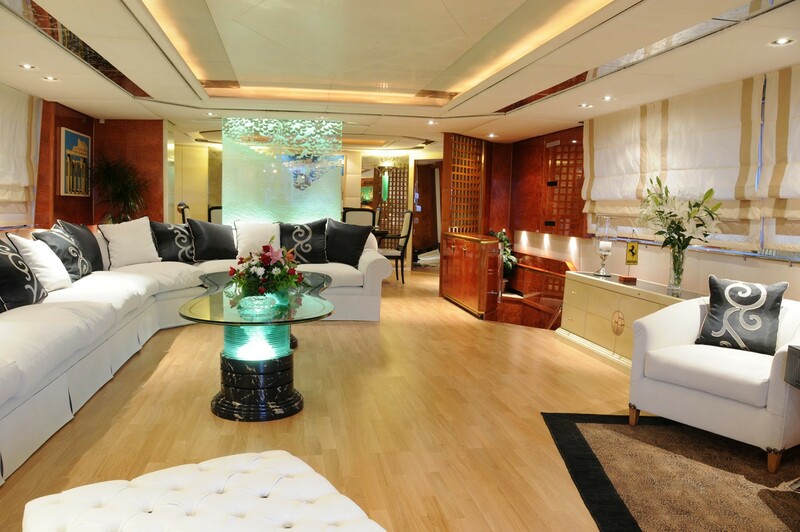 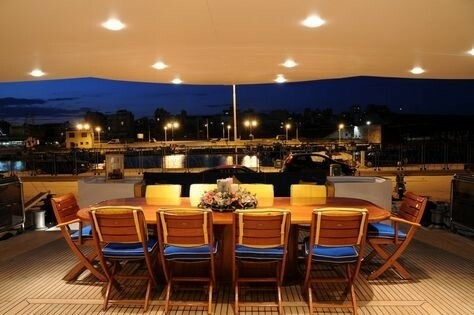 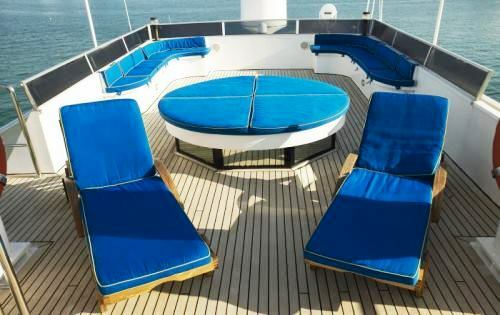 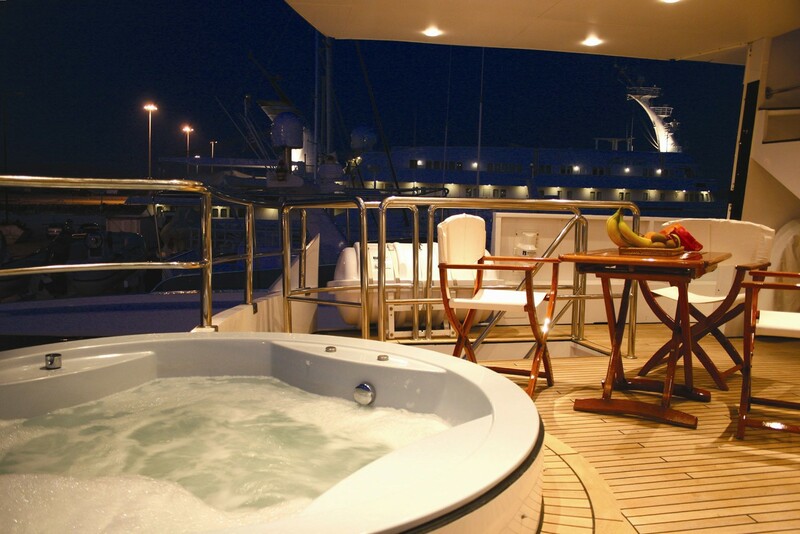 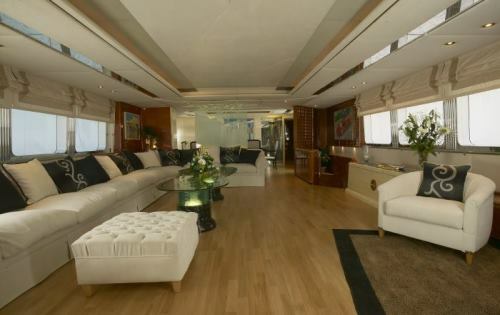 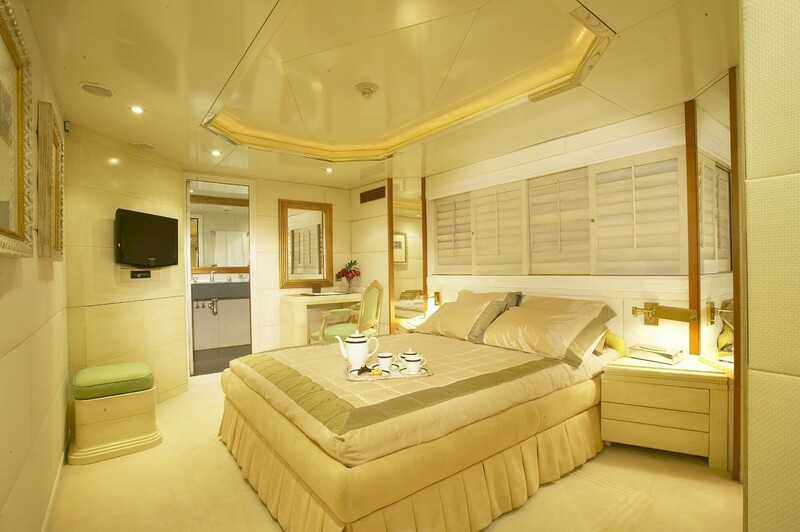 M/Y AMZ can accommodate up to 11 guests overnight and can cruise with 17 guests. 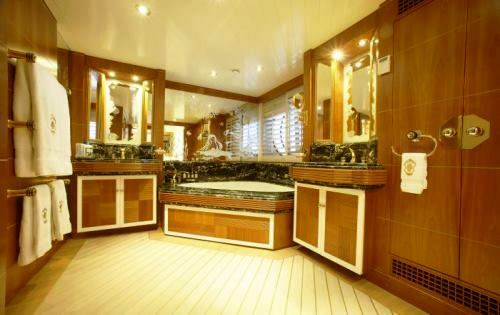 AMZ main deck salon is accessed via double doors from the aft deck. 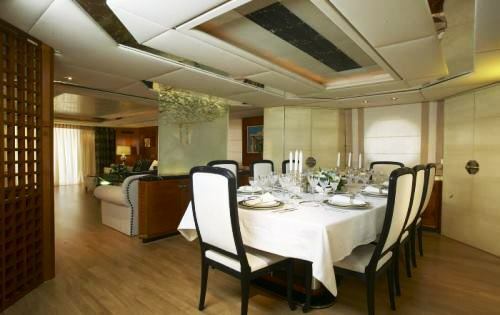 This area consists of a well-appointed seating area, games table, TV, video system culminating in the dining saloon. 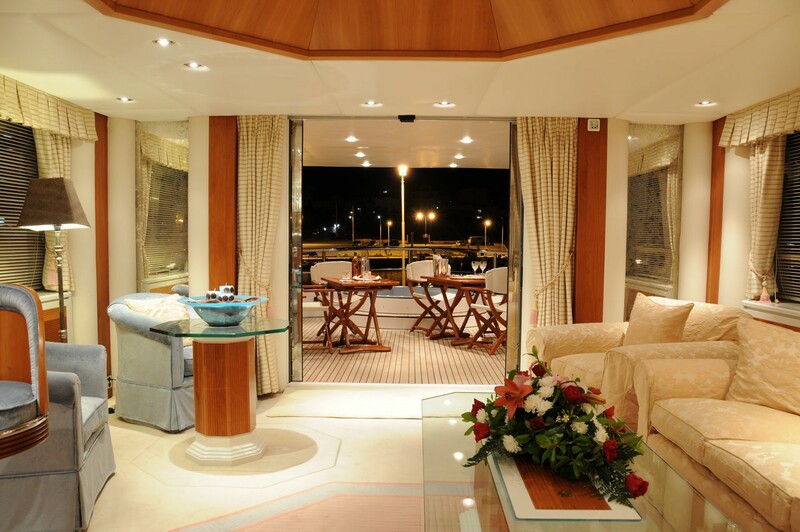 The open layout creates a genuine feeling of space and also allows for three separate uses of this area at the same time. 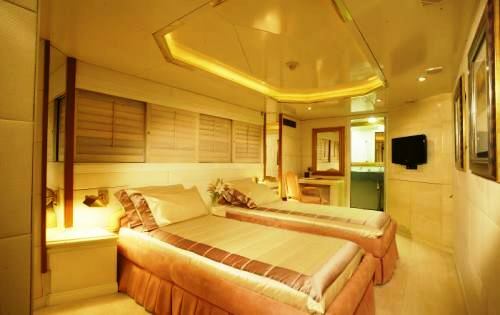 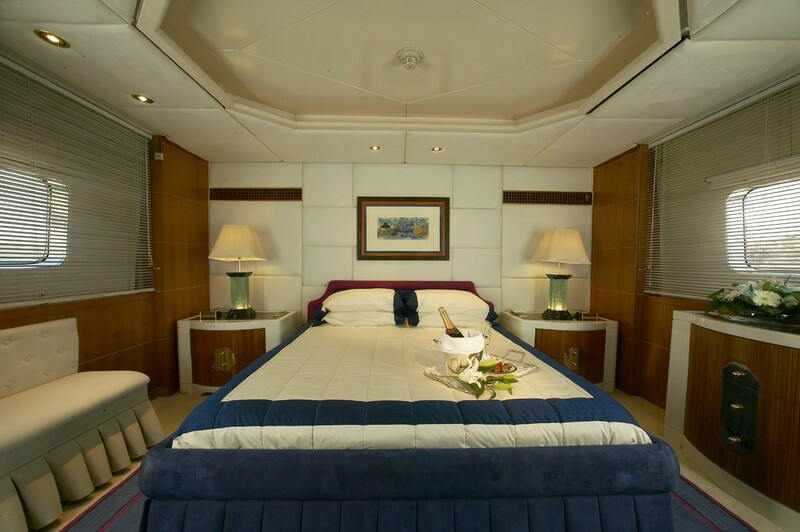 On the main deck forward, with excellent visibility through panoramic picture windows, is the owner's suite, with en-suite marble bathroom, Spa Pool bath and separate rain shower. 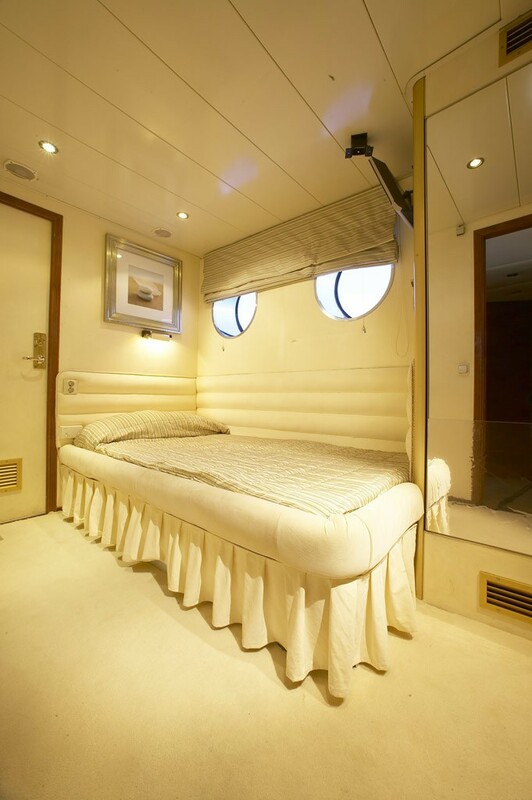 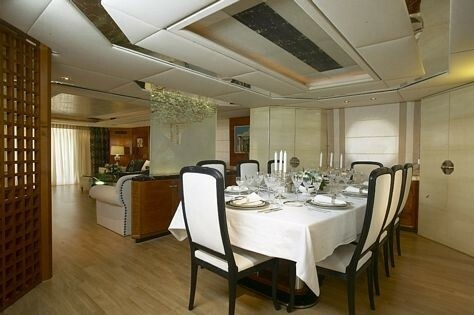 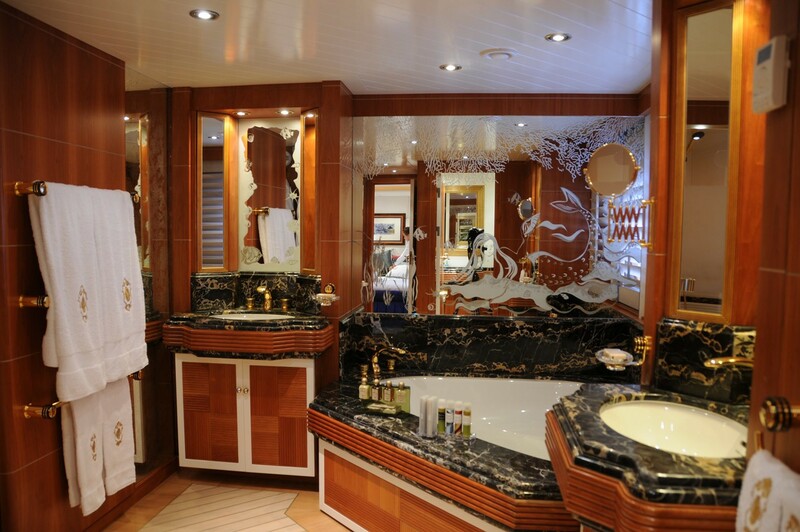 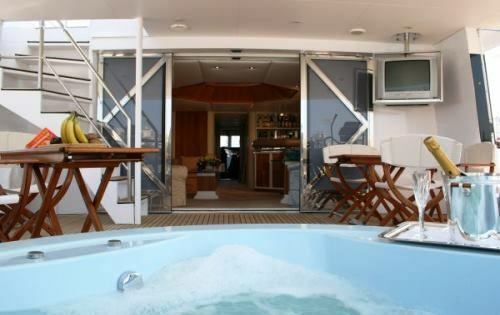 On the lower deck are 4 cabins, each with en-suite bathrooms. 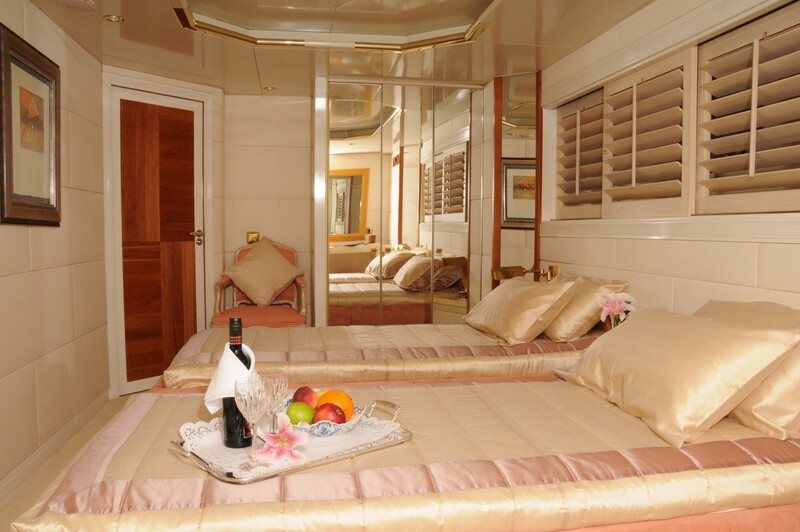 The single cabins and additional salon with bar are located on the upper deck. 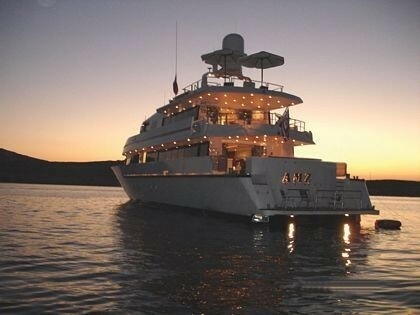 AMZ was totally rebuilt in 2002 and has two 1200 HP V8 cylinder MTU turbo charged diesel engines with water Jet Propulsion ( which are noise and vibration free). 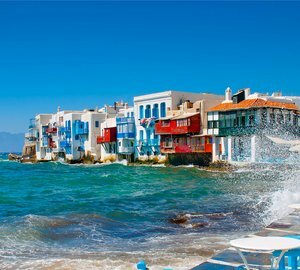 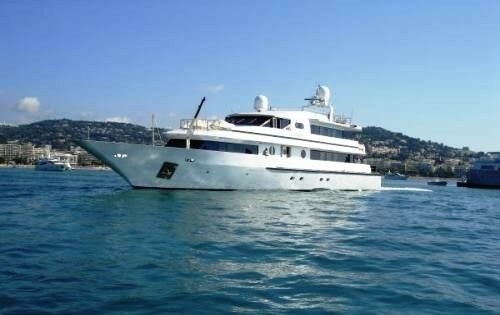 She has a crew of 8 ready to welcome you on board for your next carter vacation in Greece! 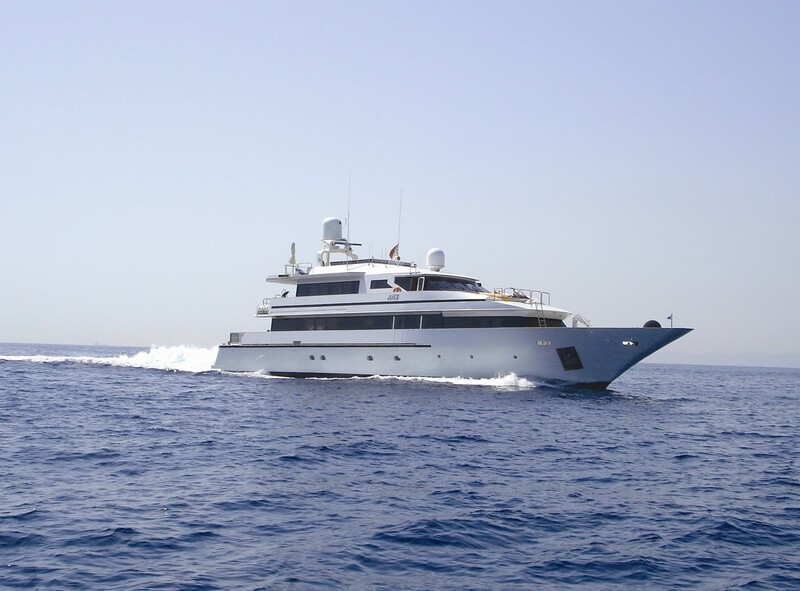 Luxury charter motor yacht AMZ can accommodate 11 guests overnight and she is able to cruise with up to 17 guests on board. 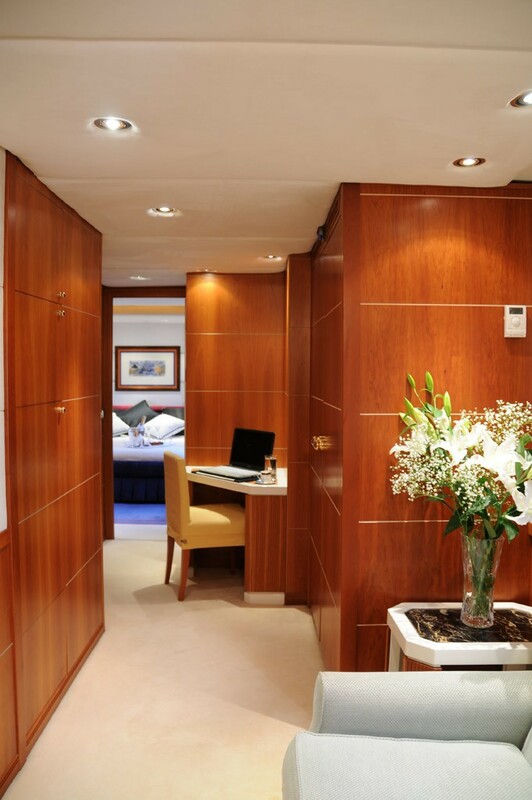 M/Y AMZ has 6 fully air-conditioned en suite cabins including a master Cabin with separate study plus bathroom with bath, separate shower and WC , a V.I.P. cabin with king size bed, study, a V.I.P. 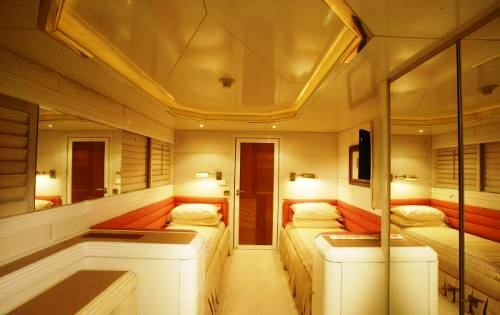 twin cabin with two separate beds and study and two twin cabins with study. 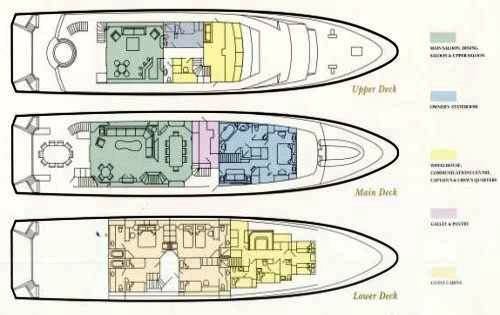 There is also one single cabin. 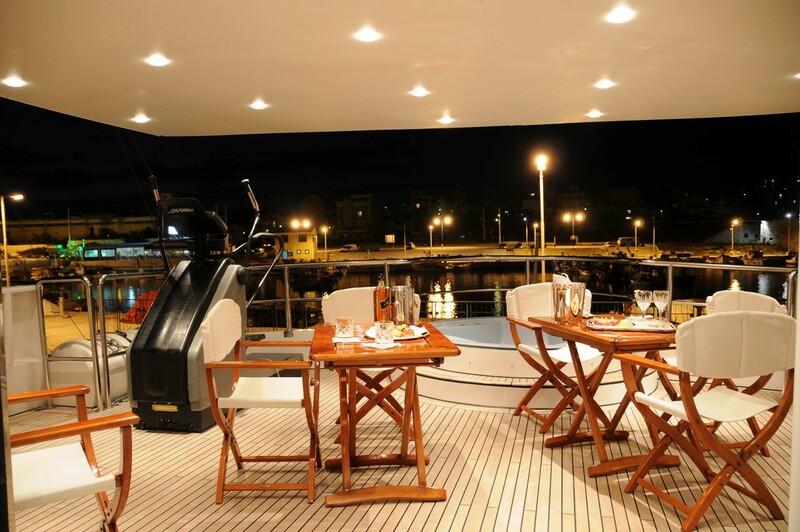 Charter Motor yacht AMZ has a wide range of tenders and toys including a 5,7m Asco rib rigid bottomed inflatable tender with 150 HP Yamaha outboard engine, a 3,60m AWD rib rigid bottomed inflatable tender with 25 HP Mercury outboard engine, a wave runner with Yamaha 500 cc, a wave runner with Yamaha 600 cc, 2 windsurfers, water-skis, tubes, banana, diving -and snorkelling equipment. 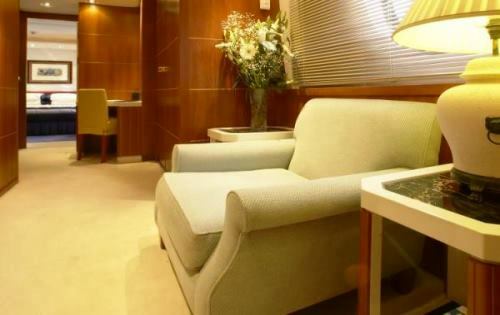 Communications onboard include Satellite communication, phone, fax, pc internet, e-mail access and wi-fi. 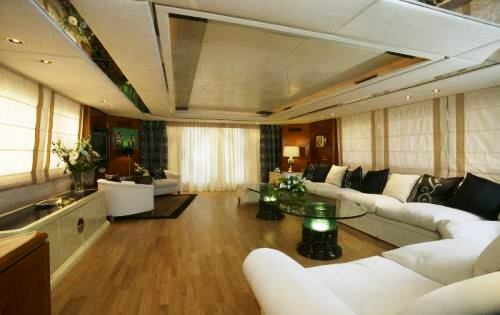 The yacht also has Independent satellite TV, DVD player and hifi stereo system.